Summer just begun, but it’s already time to think about the perfect companion for the warm season. In Summer, in fact, our daily habits changes: we do a lot of new things, hang out from sunrise to sunset, sunbath on the beach and we sweat a lot! For all those reasons, we cannot use the bag we used all Winter and we have to find a new one, more suitable for our daily activities under the sun. Maybe you already found the perfect bag for Summer last year and you’re going to use that one again; but if you are one of those ladies that just can’t resist a new trend and you’re still looking for the perfect Summer bag, this blog post is made for you! We choose 3 different trending bags perfect for Summer, that you can find almost everywhere for a price that range from € 8,00 to € 800! Or string bag. Remember those bags that are used to keep tangerines at the supermarket? Well, they are the hottest trend right now! History is full of cultures that used net-like bags: Japan, Germany and USSR are just few of them. They were, most of the times, used to carry groceries home. Fishnet bags can be really wide when full but turn super small when empty! Did you think that fishnet bags where good only for groceries shopping? Well, you were wrong! Fishnet bags are super in vogue right now: influencers and celebrities from all over the world are rocking them right now! The best thing? Whatever your budget is, you’ll find your fishnet bag! Was there a time where straw bags weren’t in vogue? I think not! Summer 2018 is not different from the past ones. 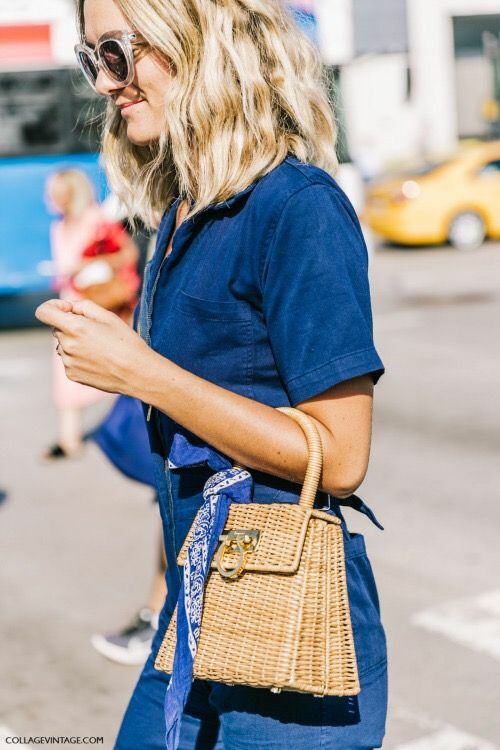 The straw bag is perfect not only for the beach, but for city life too! Who doesn’t want to look like Brigitte Bardot on the beach of Saint Tropez, biting a crispy baguette? Choose a structured straw bag for a more modern look or choose a small one to have that french vibe! The best straw bag you could find? The one in grandma’s wardrobe! Raise your hand if you this bag evokes a girly dream in your mind? See-through plastic bags remind us the kind of bags Barbie used to have: pink, kawaii and super cool. And we all know that Barbie is the most popular fashion (and not) influencer of all the times! This Summer 2018 you’ll find plastic bags everywhere for any kind of budget: show the world what’s in your bag and that you have nothing to hide! 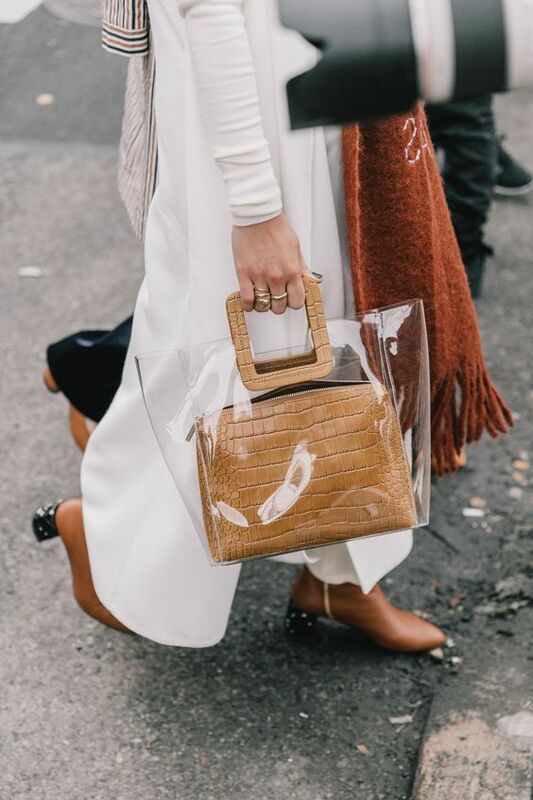 where i can buy this trending bag?